£12.00 OFF your first treatment this month. Physiotherapy–Osteopathy–Acupuncture* – Providing over 30 years of clinical experience – Our reception team are here 8 am – 8.30pm for help and friendly advice – Call us on Hatfield 01707 888229. 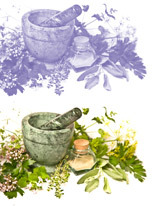 Our “specialists” comprise of around 14 time served, friendly practitioners. All our clinical staff must have proven experience in private healthcare and pass a multi-stage interview process. Our recruitment process includes an in-depth clinical assessment with our senior clinical team. Our friendly reception team are happy to answer any questions you may have. You can contact us on Hatfield 01707 888229. Alternatively, the online appointments diary is a simple and convenient way to make your appointment if the phone lines are busy or its out of hours. Our unique approach to patient care has enabled us to treat thousands of local people successfully. Experience has helped us develop the Hatfield Practice into the friendly, professional place it is today. Getting you pain-free, back on track in a speedy fashion is very important to us. A satisfied patient is at the heart of everything we do today. We also feel the best investment you can ever make is in your health. Feel free to pop in or call us if you have any questions. Occasionally patients will need to be treated by more than one practitioner during the consultation. One of our unique ways of improving healing times, reducing pain and providing focused pain relief. The service is entirely free of charge because we feel it benefits everyone to go beyond the average. We have always worked this way. Why choose The Hatfield Practice? Above all our experience has shown that a caring and thoughtful approach tends to work best and resolve problems faster. Employing highly trained Professionals who are friendly is essential. Our practitioners are encouraged to work the way we always have. We aim to provide an unforgettable treatment experience. Of course, it’s vital not only to keep standards high but to be excellent value for money. The Hatfield Practice has a transparent and open pricing structure. Opening hours are from 8 am – 8.30 pm, we are always happy to help you with any questions you may have. We are registered with Bupa and with all major healthcare providers Our Receptionists Shirley, Donna, Natasha and Artee will make you feel at home. We, of course, make a lovely cup of tea. Our thoughts are that you to sit back and relax. Experience in practice has helped us to think outside the “box”. Especially with conditions that are complex or that just “don’t get better”. Our multi-practitioner approach has helped us to provide treatment solutions that work. Our flexibility and best practice enable us to cross-refer patients between “specialists”. Best practice ensures you have a focused approach and the treatment you need. Providing patients with rapid access to the best treatments available. Occasionally patients will need to be treated by more than one practitioner during the treatment session. A unique way of improving healing times and reducing pain. This service is entirely free of charge. We have always worked this way. We also support our local community. In part, we hope our transparent pricing structure reflects this. We also provide offers and discounts for children, students and charities. The Hatfield Practice provides you with genuine hands-on safe professionals that love what the do. We aim to provide a treatment experience that leaves you feeling great, satisfied and happy. Around 87 % of our patients are referred to us as recommendations by local Gp’s, friends and family. We will provide you with a high standard of care to help you achieve your individual needs and goals. Providing patients with long-term health solutions is essential. We don’t want you to spend your life taking painkillers or on someone’s treatment table. Our thoughts are – If we provide patient-focused, consistently high-quality treatments, then we have satisfied patients. Happy people are at the heart of everything we do. To be honest, we couldn’t imagine doing anything else. Turning life into a numbers game makes it all seem like a lottery. 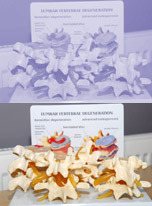 Treatment programmes at the Practice are created individually for each person. Each specialist therapy aims to resolve the initial cause of the problem rather than just the sore bit. Working this way reduces the risk of the injury happening over and over again. Our integrated healthcare team work together to provide you with safe and effective options. By working this way patients improve quickly, and we feel one of the reasons people recommend us. Feel free to come in anytime and see what we do. We are relaxed, professional and of course, it’s about you. The quality and scope of the treatments we provide have developed over time. We only employ experienced, highly trained Professionals who have passed the grade. The team we have today has taken many years to come together. Many of our practitioners here been here since the early days. Practitioners are trained and encouraged to work the way we always have. We will provide a professional and effective solution for your pain or health-related. The Hatfield Practice has a transparent and open pricing structure. Easy, Free Parking at the front or accessible bays outside the Practice in Ground Lane, Hatfield. We certainly won’t waste your time. We provide Professional Osteopathy, Physiotherapy, Acupuncture and Massage in Hatfield. Helping you to feel better is what The Welwyn and Hatfield Practice patients tell us we do best. Above all our experience has shown that a caring and thoughtful approach tends to resolve problems faster. Most of the patients referred by recommendation by their local GP, Triage Physiotherapist, friends or Consultant. Also, the most crucial element is that most patients feel improvement after their first consultation and treatment. Call our reception on 01707 888229. Experience has shown that our triage style “combined treatments” such as combinations of Physiotherapy with Osteopathy, Acupuncture or Massage have been shown to improve patient outcome and healing times. Friendly, warm and professional – after three months off work I was out of pain very quickly. I am now back at work and pain free. Highly recommend the clinic, great guys and atmosphere. Treatments are exceptional and clearly focus on areas that need work – I always walk away feeling on top form. Thanks! After suffering from a very painful C-section scar which didn’t improve over the course of 19 months and caused me pain permanently, I had five acupuncture treatments with Helen. The pain lessened significantly after the first treatment but amazingly, the appearance of the scar (very red, very uneven) also improved dramatically. It is now completely pain free and smooth. Thank you Helen! It always amazes me how well acupuncture works. I spent 3 years feeling sorry for myself in constant pain. 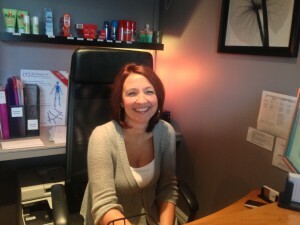 Helen changed all that – regular sessions of acupuncture have left me less reliant on painkillers and changed my life! ” Such enthusiasm… thank you for your advice and support. I think the surgeon would of got his own way if i hadnt of found you. Always a relaxing happy place “. Alistair (Sprinter) Welwyn Garden City. Relaxing, professional and just brilliant. We have been trying for a baby for years a friend suggested the fertility clinic an the Welwyn and Hatfield Practice. By using a combination of acupuncture and IVF we were able to succeed. Just don’t leave it to chance. We now have beautiful much loves twin boys .Helen is simply brilliant. Thank you Dora top class Physiotherapy – I feel stronger each day now. “I was in a real mess after a major car accident. I was told by hospital doctors that i would be in pain permanently. I pleased to say they were very wrong. I am now pain free 90% of the time. Wonderful thoughtful people. Really Cant thank you enough guys. Ian will get you injury free and playing again faster than anyone else…. !!! I have seen a lot of osteopaths and massage people in my time but you take the first prize. I really appreciate that there is now hope for me. I have been working with Dora ( Physio) apart from the very professional treatment she always goes out of her way to treat me like a real person. Seems genuinely interested. This holistic and human approach to care makes such a difference and seems to permeate the whole practice – from the greeting at reception to the banter between colleagues to the therapy itsself . Fantastic service, everyone is so friendly and caring. Ian has helped me no ends for which I am incredibly grateful! Would recommend to anyone. Thank you, Chris, for making my body do things that I thought not possible…. I’m trying to stretch every night to keep those skiing positions…but its hard at my age but I’m kicking those 25 age somethings a***s, like a 43-year-old should!